It’s that time of the year again when all around the world, Nike brings runners together to inspire, motivate and connect one another for the second installment of the Nike We Run Manila 10k Race. This year, they’re holding it in a new and better venue (MOA) and we’re expecting even more runners to pave the road in the early morning of December 2. Aside from that, there’s a lot of freebies, my favorite being the finisher shirt. All you have to do is finish below the cut off time of 2 hours and 30 minutes. That’s walking pace so everyone should get a shirt for sure. Aside from the shirts, there will be lots of activities available for runners in the race village after the race. Recovery stations, refreshments, massage booths and even a concert will await the runners after the 10k. 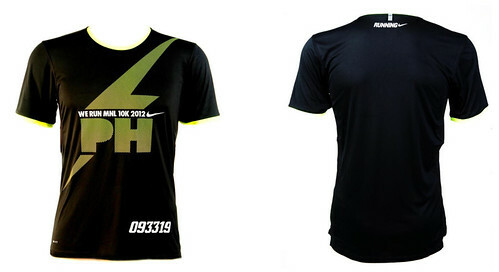 Last year, I took one of my clients to his first run in the 2011 Nike We Run 10k. We finished that year with a time of 1:55, this year (and 80 pounds lighter for Josh), we’re aiming for 1:30, and we’re raring to go. Join us! PHILIPPINES, OCTOBER 2012 – Nike’s We Run race returns to Manila for a second year, to inspire, motivate and connect runners around the world. 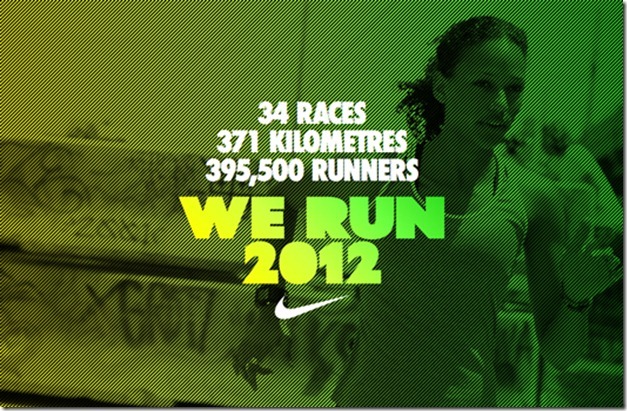 On December 2, 2012, Filipino runners will be part of the global We Run race movement, which will see a total of 395,500 runners from 34 cities participating—establishing a new global community of runners through Nike’s most connected race series using the innovative Nike+ technology. The We Run race series kicked off on September 1 in Prague, Czech Republic, and will conclude on December 15 in Rio de Janiero, Brazil. Nike’s We Run Manila 10K race will energize the streets of Pasay City with the 13,000 high-octane runners expected to make tracks all over the SM Mall of Asia’s grounds. Set against the remarkable view of Manila Bay, the initial stretch of the race will let runners pass through the commercialized area of the Mall of Asia with the SMX Convention Center and the latest icon of the area, the eye-shaped SM Bay City Arena. Runners are set to leave urban commercial scenery and head towards the fields along Diosdado Macapagal Boulevard. Closing in on the halfway point of the race, runners will then pass the upcoming Belle Casino, a gold complex glistening in the morning sun. As they take a turn on Pacific Avenue and race past the same landmarks, runners will come upon the iconic ferris-wheel along Seaside Boulevard that marks the final kilometer to the finish line. The panoramic run would not be complete without an engaging en route entertainment featuring some of Manila’s top musical acts. Meeting the runners at the finish line is the Race Village that will offer an array of services. Runners can expect to be pampered with massage booths and get recharged at any of the refreshment stalls while being entertained by the energetic musical line-up. This year, Nike is taking inspiration to a new level as runners will be able to follow two of Philippines most popular lifestyle bloggers, Robbie Becroft of robbieoffduty.com and Lissa Kahayon of lissakahayon.com who will be embarking on their first We Run race. Follow their We Run journey as they take on the challenge of preparing for Nike’s We Run MNL 10K race, blogging at each step of the journey, and witness how Nike elevates their everyday running experience with the various product offerings including the Nike+ ecosystem. 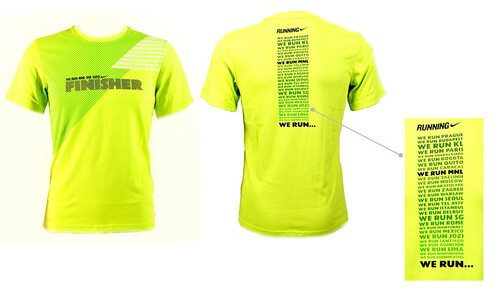 To get race-ready, Nike will organize four training sessions focusing on proper running techniques and tips. Runners will also be able to test out the Nike+ Running app (available on iOS and Android), and try out the season’s latest running products. These clinics will be led by podiatrists and Nike Training Club instructors to further educate individuals on how they can reach their potential as runners. or follow us on twitter via @NikePH. NIKE, Inc. based near Beaverton, Oregon, is the world’s leading designer, marketer and distributor of authentic athletic footwear, apparel, equipment and accessories for a wide variety of sports and fitness activities. Wholly owned Nike subsidiaries include Converse Inc., which designs, markets and distributes athletic footwear, apparel and accessories; Cole Haan, which designs, markets and distributes luxury shoes, handbags, accessories and coats; Umbro Ltd., a leading United Kingdom-based global football (soccer) brand; and Hurley International LLC, which designs, markets and distributes action sports and youth lifestyle footwear, apparel and accessories. For more information, visit nikeinc.com.